It’s definitely not awful, but it’s not great either. I guess it could be edgy, but I feel like the colour is wrong, and I can definitely still see some dark on the sides. 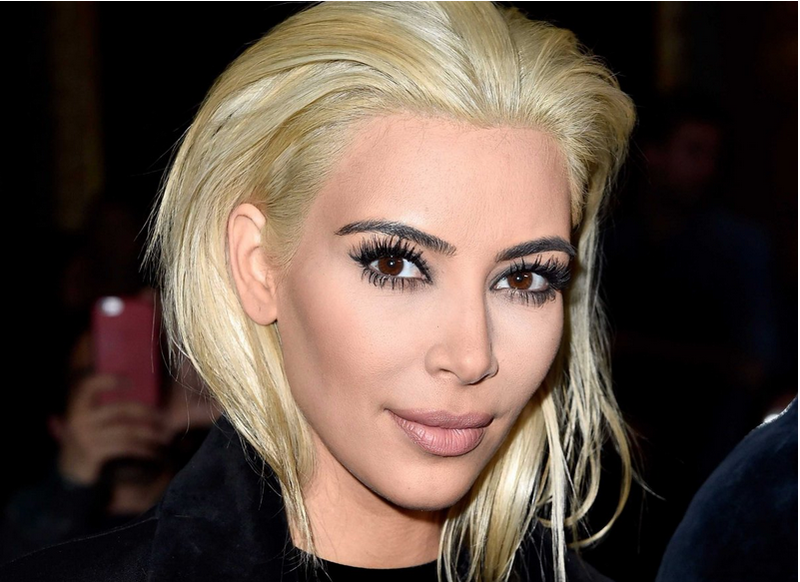 It is far too yellow for my taste- and if it’s edgy she wants why not commit to full-on ice-blonde almost ice shade? The styling feels a bit wrong as well- sort of greasy. Oh Kim…I know you only wash your hair every 5 days, but surely the hair-dresser does it for you when you get it coloured. Sigh. Maybe this is like that time Katy Perry bleached her hair and everyone was like ‘OMG!’ only for her to dye it pink immediately. though somehow I doubt Kim is about to go all bubble-gum on us.